Nebraska, the Cornhusker State, is 16th in terms of area in the whole nation and is a lowly populated state. 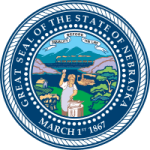 The Nebraska territory gained its statehood, after approving the US constitution, on 1st March 1867. Nebraska State is facing population drought in several rural areas with more and more people migrating towards more urbanized and developed counties in the state. The state is highly employed mainly due to its agricultural sector with a meager 4.6% unemployment rate. Nebraska’s economy is also governed mostly by the agricultural sector. Motor Manufacturing is also another major contributor in economy revenues. A lot of medical and health care facilities have established in past few years proving boost to the growth of health care industry in the state. This has also led to increase in burden of the Nebraska Board of Nursing. What is Nebraska Board of Nursing and what are its associated member boards? Nebraska Department of Health and Human Services (NDHHS) has carefully subdivided the whole nursing administration section in two subdivisions, known as Nebraska Board of Nursing and Nebraska Advanced Practice Registered Nurse Board. Both the boards have their own limitations and scope defined under administration. Both the boards are operated from same location and have the same web link association. There are several more sub divisions or associate boards under the NDHHS. The licensing and standardization of the nursing programs in the state is authorized by these boards and commissions. The licensing units as well as operational units meet at regular intervals to take decisions on various topics and overview the current proceedings. All boards might be related to separate and different fields in medical and nursing field, but all have common goal. Public welfare and safety of health through effective nurse practice is the main motive of all nursing boards. Sub divisions are made just to assist in effective management of all the nursing branches.